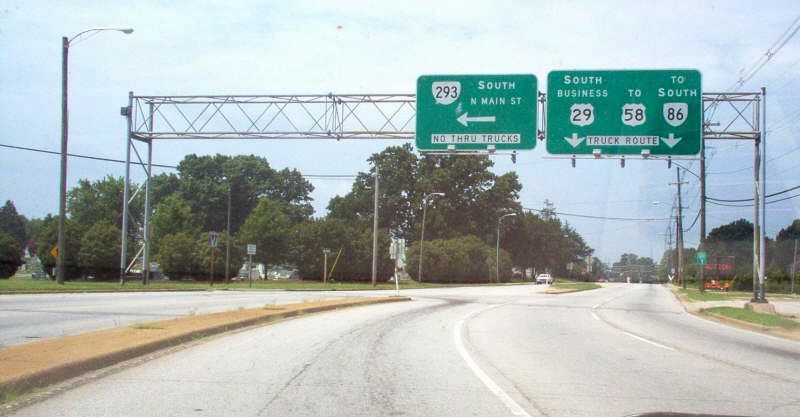 Creation: Appeared June 1996 (CTB) as a renumbering of US 29 Bus. Ran as it does today. 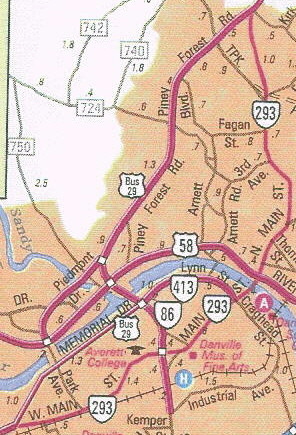 This is the 2nd VA 293. Legislative names: Seminole Trail (entire route), designation (2-16-28) predates VA 293 deignation. 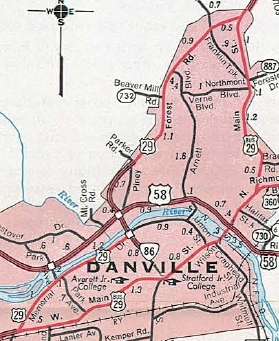 Comment: The lastest pawn in a game of musical numbers that has plagued Danville over the years. The VA 293 bridge over the Dan River (from the 20's) was replaced with a new bridge with the same architectural style as the old one -- cool! VA 293 #1: Appeared as a renumbering of VA 220 by July 1935 (route log), which had to be eliminated with the coming of US 220 to Virginia. Ran from VA 30 King William south to SR 632 Lanesville. VA 293 was downgraded to SR 633 in April 1944 (CTB Minutes).